﻿ The 4 Hour Work Week- A Reality or Just Another Dream? The 4 Hour Work Week- A Reality or Just Another Dream? A 4 hour work week may seem ludicrous, not to mention unattainable if you have aspirations for business progression. Nonetheless, it's still a desirable concept to those accustomed to the idea that long hours and hard work are the only path to success. 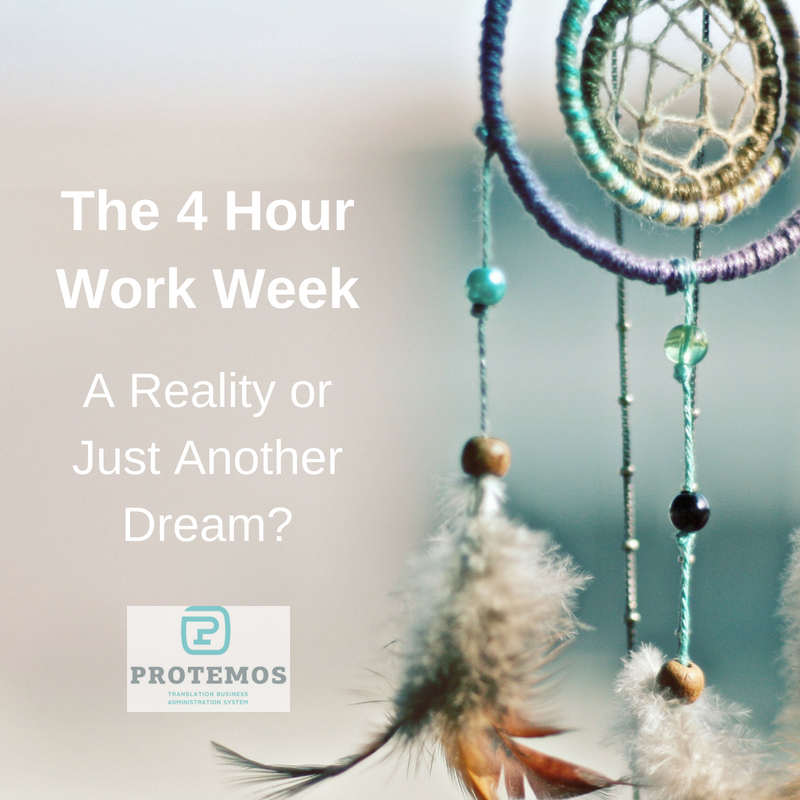 So we decided to look into this ambitious concept; is the 4 hour work week really achievable or is it just another dream? It seems like an absurd notion; thinking that you could compact all of the important business management tasks and day to day running of your translation agency into anything less than a full work week (often times, even longer!). How can you send and respond to emails, engage with clients, oversee projects, manage your team, as well as vendors while keeping abreast of all of your invoicing and POs in just 4 hours per week? It might not be as elusive as you think. 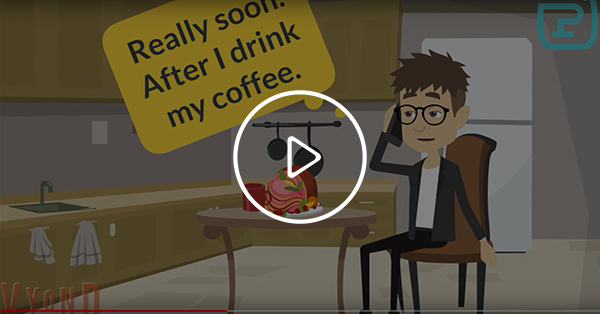 With some structured planning and the aid of a well designed TMS solution, you should be able to focus your energy into optimizing your productivity in order to drastically cut down the hours you spend on time consuming tasks. Be Prepared to Plan Ahead. By knowing what requires your personal attention, as well as, what can be outsourced, is vital to both your business efficiency and your ability to step back and let your well chosen team do their jobs. This will inevitably free up some of your valuable time. Remember to set limits for time consuming, yet not directly productive work; reading and replying to many emails, for instance, can take up many unnecessary hours when not managed properly. Focus on your objective and aim to stay on track. A great way to do this is to strategize your future business plans, keeping these in mind can help you to stay on track and not get bogged down by the small stuff. Outsourcing can never be underestimated, it is one of the must do’s in order to actually to cut any time from your hectic work schedule. To do this you’ll need to cultivate the best possible in house team to seamlessly work to your expected standards, even in your absence. 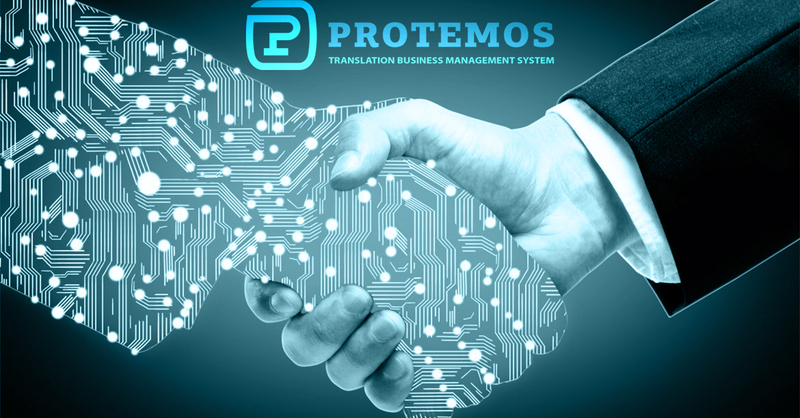 Providing a continuous feedback loop and relevant training to both vendors and staff enables you to have confidence in their ability to deliver flawless translation results every time. Promoting team member progression will ensure your business benefits from top quality human resources. With a reliable TMS in place you’ll discover just how much easier your agency’s day to day running can become. Business finances alone can take intensive supervision if you manage them manually, but by using a client management system with invoicing and easily available pricing and cost information instantly available you'll save both time and money. Effective, easy to implement solutions afford you the time to relax without worrying about what's not being done; Protemos will take care of all of that for you, from sending deadline updates to vendors and invoices to clients leaving you free to concentrate on your business aspirations and marketing strategies. We’ve even kept these in mind, with just the click of a mouse you can access reports on the status of any given project or gain better insight into how your business is performing on an ongoing basis. 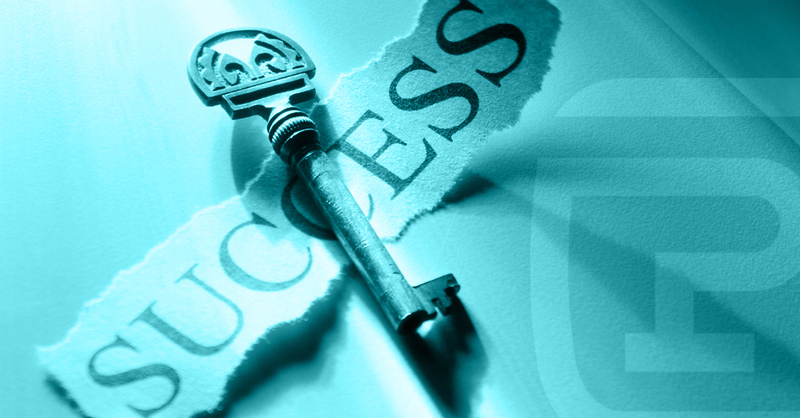 This will give you back the time you need to achieve business success, without the headache, and perhaps even a few less hours at the office?